DATELINE Monday July 30, Oduduwa Hall, Obafemi Awolowo University: The occasion was the formal opening event of the maiden “Ife Festival of Food and Identity”, hosted by the Institute of Cultural Studies, Obafemi Awolowo University Ile-Ife. A festivity of cultural expression the occasion, indeed, turned out to be. The nexus between food and cultural identity was at the core of the celebration. It was thus easy to understand why the belly of the hall exploded in wild jubilation trailed by persistent catcalls and ululation that drowned the voice of the speaker, who in the course of her address, mentioned that she had been instructed to deliver a good tiding of “stomach infrastructure” to students of the preeminent tertiary institution. In context of theme of the feast at hand, the declaration was to affirm that food is central to cultural production, promotion, preservation and affirmation of identity. In delivering the special guest of honour address from her boss, Senator Ibikunle Amosun, the Deputy Governor of Ogun State, Chief Mrs. Yetunde Onanuga, said she had been asked to announce donation of 1000 bags of “Mitros Ofada” rice to lucky students of the school. MITROS is of course acronym for ‘Mission to Rebuild Ogun State’, the mantra for progressive initiatives by the Amosun administration, and it is a recurring anthem on the tongue and, in the consciousness of nearly all indigenes of the state; and many keen watchers of developments in the country and beyond. Earlier at midday, in the presence of dignitaries that included Africa’s first Nobel laureate, senior members of the academic community led by the Vice Chancellor, Professor Eyitope Ogunbodede, and his two deputies academic and administrative, cabinet members from Ogun State, and guests from outside of the campus, the Wole Soyinka Museum – a simple one-storey building located adjacent the VC’s lodge in the most serene part of the scenic OAU campus, was commisioned. Realised through generous support of the Governor Amosun administration, the Museum, as at opening, had over 100 priceless antiquities representing only a section of collections of the Nobel laureate, which were loaned from the Wole Soyinka Foundation located in his A.R.I Ijegba sanctuary in Idi Aba housing Estate, Kemta quarters of Abeokuta, Ogun State capital. An avid collector of Soyinka’s portraits, Mr Remi Adetayo CEO of Moving Media Company, also loaned 10 rare and exquisite portraits of Soyinka to the opening exhibition that is expected to last three months at the first instance. While formally commissioning the Museum, the Governor through his deputy, Mrs Onanuga, and in the presence of the man, after whom the edifice is named, stated, “we proudly identify with the Wole Soyinka Museum, OAU, Ile Ife… Anything and everything Wole Soyinka simply excites us. Reminding the gathering that the Wole Soyinka Museum, had been repurposed from the nearly disused old one-storey building where Soyinka had lived when he was professor of Comparative Literature in the university in the 70s, Amosun promised “…our association (with the Museum) will go beyond today’s event. Now at early evening to kick off the five-day feast of food and culture, Governor Amosun explained why he had sent trucks of ‘Ofada’ rice all the way from Abeokuta into Ile Ife in Osun State. He also affirmed the connection between culture and food security as enunciated in the objective of the festival, which had been rebranded from the once famous Ife Festival of Arts . He said without food security, no nation can lay claim to “true progress and meaningful development”. He recalled an earlier statement he had made at the launch of the ‘Mitros Ofada rice’ in December last year, vis: “…we cannot afford to sit back and watch our people suffer unnecessarily due to food insecurity. The availability of food is synonymous with the survival of the society as a whole. “Our past efforts at tackling poverty in all ramifications will amount to nothing if concerted efforts are not taken to ensure food security to people at all income levels. This is why today is a significant day, not just for Ogun State, but for Nigeria as well”. While commissioning the ‘MITROS Rice Mill’, reputed as the first of its kind in the country, designed to provide “direct and indirect jobs for farmers and stimulate economic growth” for Ogun in particular and Nigeria in general, Amosun said the rice “will be produced in a hygienic manner, and to high standards; and it will enjoy standardised packaging – in 1kg, 5kg,10kg, 25kg and 50kg bags – and bear the MITROS stamp of quality, signifying goods produced to the highest standards”. And so the tons of 5kg ofada rice that created a carnivalesque scenery at the closing events on Friday, August 3, was in fulfilment of the promise made at the opening ceremony of the festival, to over 2000 jubilant students gathered in the belly of old but still regal Oduduwa Hall. Also at the event to receive the good tiding from Ogun, were the Special Guest of Honour, Dr Paul Kagame, President of Rwanda, represented by his Minister for Agriculture, and the country’s Ambassador to Nigeria, members of the OAU academic community led by the vice chancellor, as well as about six traditional rulers from around Osun State. Soyinka, recently made Emeritus Professor of Dramatic Arts OAU, who was Chief Adviser to the festival, superintended the colourful ceremony. It was a palpable shock to the students to hear of the largesse from the government of Ogun State. And not a few of them questioned why the state stretched its renowned commitment to agriculture and culture beyond its borders into Osun State. Their inquisitions were probably answered in the statement by the Governor thus: “The theme of your festival, food & identity resonates with our administration’s initiatives in ‘Agriculture and Food security’. He expatiated: “Ofada Rice’ has rallied back with government’s renewed investment and support in today’s Ogun State. We believe Agriculture, and more appropriately, Agri-business, with its attendant value chain has the potential to change the narration of our nation’s excessive and dangerous dependent on oil. The 1000 bags of 5kg rice were dramatically schemed into the stage set that heralded the grand closing ceremony of the festival last Friday at the 3,500-seater Amphitheatre just behind the Oduduwa hall, where the initial promise had been made. Recalling the words of President Buhari that “we must eat what we grow”, he reminded that this has also been the committed vision of the festival’s main supporter, Ogun State. Thus the performers at the closing ceremony, including Ife-based afro-jazz act, Wole Sax, and the more popular Lagos-based Seyi Solagbade — who proclaimed on stage, “I am a proud native of Abeokuta, Ogun State and alumnus of the OAU music department”– whose scintillating performance capped the night, swam amidst tons of ofada rice as they thrilled the excited students and guests that witnessed the closing glee. It was rare spectacle indeed. Quite inspiring. After three hours of intense performances and partying, punctuated only by a closing remark by the vice chancellor, Ogunbodede, who advised the students on the need to uphold their cultural heritage and identity even as they study hard in pursuit of their individual dreams, a raffle draw was held in which lucky students won bags of the Mitros rice. Stretching far into the wee hours of the next day, the raffle was another festivity as the enthusiastic students participated with gusto. The students had been advised to operate in groups “as a way of inculcating team work and cooperative spirit in them,” according to Kareem. 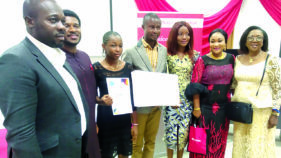 Thus they were grouped in 10s, and at the end of the competition, the Pink group emerged the first place winner with cash prize of N50,000 and a bag of rice for each member, while Alpha group won N30,000 and a bag of rice for every member. The third place winning group got N20,000 and a bag of rice for each member. As the students ferried the bags of rice away, gradually levelling the mountain of bags on the stage, Governor Amosun’s words at the opening event five days earlier, must have been re-echoing in their minds: “We enjoin all of you, and, indeed all Nigerians to accept and pay greater attention to Ofada Rice. It is healthier and far more nutritious. Alongside our parboiled NERICA MITROS RICE, we have put thousands of acreage under cultivation. Earlier on July 30, shortly after the promise delivered by the Deputy Governor, Mrs Onanuga, over 2000 plates of cooked ofada had been fed to the students courtesy same Ogun government. The distribution of the rice was also a carnival of sorts as the students threw themselves lavishly into the bargain, sometimes almost resulting in disorderliness, that was however tamed by the ZMirage team that supervised the operation. At the opening, Professor Ogunbodede, stated: “The OAU-Ife Festival of Arts was a regular feature of the University’s international socio-cultural calendar in the 1970s until it suffered a long break in the 1980s, 1990s and early 2000. In 2005 and 2008, the OAU-Ife Festival of Arts was revived with respective editions dedicated to the “International Festival of Gelede” (2005) and “Masks, Masquerades and Marionettes” (2008). In the spirit of revival and this eventual resuscitation, the 2018 OAU-IFE FESTIVAL is back in 2018 with the theme “Food and Identity”. The Festival seeks to enshrine the place and memory of our indigenous food culture in the psyche of our youths and the coming generations and to reiterate our capability to survive as a people through the adoption and preservation of relevant food and material culture”. At the opening ceremony, tracing the trajectory of his administration in culture promotion and preservation, Governor Amosun said: “The promotion of culture and tourism has remained one of the major planks of our administration in Ogun State. When we assumed office in Abeokuta in 2011, we immediately elevated the then relatively unknown Department of Culture into a full-fledged Ministry of Culture and Tourism. Specifically, on the cultural significance of the African Drums Festival, which Ogun State hosted for the third time in April, Amosun had said, “We are Africans and the African Drums Festival is to showcase the beauty of our cultures. He continued, “Africans have rich culture. We have drums that predate African civilizations and this is what makes Africans to be great. The drum is very important beyond entertainment. Indeed, I want to relate it to, or may be, situate it with what the social media is as important to us as with what drums did then. In the days of our forebears, it was the drums they used to disseminate information to talk about one another; that they used during wars; even to say something that was about to happen. They have social drums. “Even our traditionalists, the masquerades, they have different drums because the way they will drum it will be different from others. We can use drums for so many things. These days, different kinds of drums are used for different reasons. In Ogun State, we have chosen drums to showcase our richness when we started expanding them beyond the shores of Nigeria a year ago. Soyinka, the first black and African Nobel laureate in literature, is the force vitale for the Ife Festival, just as he was the Consultant to the African Drums Festival that last April drew over 15,000 performers, culture activists and administrators from 21 countries of Africa, to Abeokuta, the Ogun State capital. In the concept note that motivated the Ife Festival, Soyinka, the writer, theatre director and culture philosopher had sought to link culture production and expression to the idea of food security and identity. He had proposed a synergy between the Drum festival in Ogun and the food and identity feast in Ife. 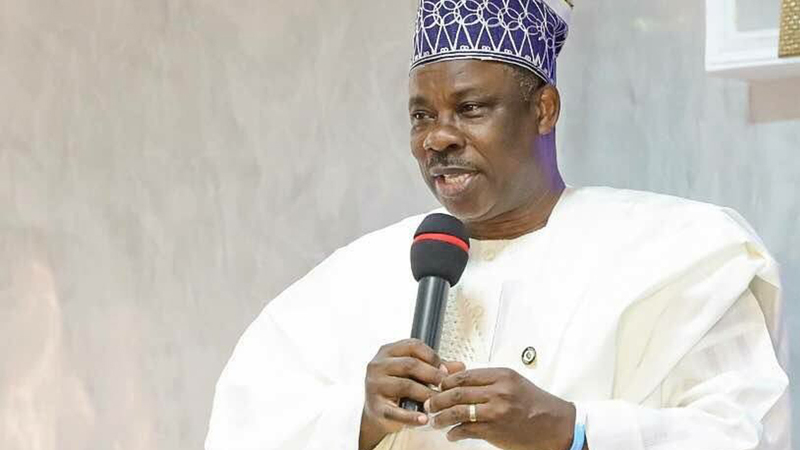 This must have motivated the Ogun State government through its African culture-advocate political head, Amosun to give generous backing to the Ife Festival of Food & Identity, which ran July 30 to August 4 on the expansive campus of OAU in Osun State. In a presentation in which he averred, “grafting onto an alien environment the models of other places is clearly not the solution to the problem of hunger. And not just hunger but other needs of human survival”, the Ife Festival ‘spirit essential’ had proposed, “an annual Festival of commemoration, deservedly of a pan-African dimension, with manifestations across the continent and embracing the Diaspora… a conscious re-positioning of food not only as a fact of human existence but of spirituality, creativity and intelligence, highlighting the responsibility of political and community leadership in food planning. Its expositions will give pride of place to innovative food technologies and offer modalities of engagement for young, adventurous minds who presently feed the fishes of the Mediterranean and the vultures of the Sahara in their ironic search for – food. “We are speaking here of a Festival that irradiates the soil with new youthful enthusiasm, celebrates Nature and human ingenuity, the ever advancing devices that remove food from the ‘biblical curse’, and turns it into a routine achievement of human adaptive powers”. In its five-day duration, the festival also featured a photo exhibition on the theme: Imaging Nigerian Food: Contemporary Advertorial Conversation “Stomach Infrastructure” –referencing the infamous ‘invention’ by the Governor of Ekiti State, Ayodele Fayose, after his questionable electoral victory four years ago; a coterie of performances drawn from around Nigeria including Gelede mask parade, hunters dance, dance package by Anambra State troupe, and musical concerts including the scintillating opening night performance by the Fuji music exponent, Saheed Osupa. From outside the shores of Nigeria came Bolojo music offerings from Benin Republic, while the Festival’s special guest of honour, President Kagame of Rwanda sent his country’s national troupe. The international colloquium brought home the Managing Director of the Abidjan-Cote d’Ivoire-based African Development Bank, ADB, and former Nigeria Minister of Agriculture, Dr Akinwunmi Adesina as keynoter, on August 1. The spiritual father of Ife and progenitor of the Yoruba race, Ooni Ogunwusi, Ojaja II was Special Guest of Honour at the event. At the core of the Ife Festival of Food & Identity was the birth and formal dedication of the Wole Soyinka Museum. In honour of the laureate, the authorities of the Obafemi Awolowo University through its vice chancellor, Prof. Ogunbodede, had decided to convert Soyinka’s former abode — while a teacher at the university — to the Wole Soyinka Museum, which was formally declared open on Monday July 30. The conversion and remodelling of Soyinka’s former abode to The Soyinka Museum was made possible by the Amosun government to firmly establish the link between cultural education, agriculture and identity as enunciated in the five cardinal agenda of the Ogun government under Senator Ibikunle Amosun. “The aim of the Museum is to crown the legacy of our culture in OAU by showcasing and preserving the cultural and artistic taste that nurtured one of the greatest intellectuals of the 21st century who brought additional fame, honour and academic integrity to Africa and specifically, to Nigeria, and we daresay, to this University, as the very first African Nobel Laureate of Literature to have emerged from among us”. The museum presently houses an exhibition of over 100 priceless antiquities, representing only a section of the collections of Soyinka over the decades — loaned from the Wole Soyinka Foundation, WSF, headquartered at the A.R.I residence of the laureate in the Ijegba forest sanctuary in Idi Aba Housing Estate, Kemta Abeokuta. Another section of the collections, curated by Professor Awam Amkpa of New York University, has been travelling major museums around the world, the latest being at the Coopers Gallery in Harvard; Natural Museum in Port au Prince, Haiti courtesy Laboratorio Art Centre, and lately as part of the global-touring Biennale, Manifesta in Palermo Sicily, Italy, courtesy the New York University in Florence Italy. The background to the Wole Soyinka Museum is steeped in time, which can be traced to the voyage of Wole Soyinka perhaps through his Yoruba ancestry. It is worthy of note that a very significant part of Wole Soyinka’s creative and mid-life productive years were spent on the campus of Obafemi Awolowo University (formerly University of Ife). It is at the University of Ife, that Wole Soyinka brought forth quite notable fruits. He spent about 24 years lecturing at the Obafemi Awolowo University during which time his daughters Peyi and Moremi Soyinka studied here at the university (not to mention Makin who made his entry in 1986- the year after Baba exited). Wole Soyinka developed several vocations during his period of stay. He was patron to the only unofficial Hunters’ Guild, the acknowledged inspiration of the Kegites Club among many other hobbies. Enthralling accounts of the hunting expeditions are documented in his autobiography, “You Must Set Forth at Dawn”. The Federal Road Safety Corps, now a reputable Federal Government Agency was midwifed by Wole Soyinka as a token of efforts at reducing road accidents on the notorious Ile-Ife-Ibadan road in the 1970s-80s. The embryo group was headed by Professor Soyinka himself, who led like-minded men to physically police our campus roads and monitor the activities of motorists on the notorious Ife-Ibadan road. They insisted on government’s involvement in these efforts and this culminated in the establishment of the Federal Road Safety Corps in Nigeria. Professor Soyinka headed a number of committees while he was on this campus, he ran the Oduduwa Hall, conjoined with the Amphi-theatre among others. 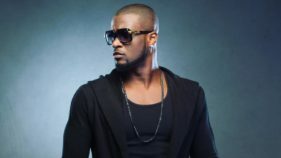 There was also his role in the co-founding of the Pyrates Confraternity on Nigerian University campuses. Apart from his global presence today, these exploits among others form the reason why the OAU and others are convinced that Wole Soyinka deserves to have a lasting legacy endowed for him in Obafemi Awolowo University. We are grateful to the Wole Soyinka Foundation for agreeing to interface with Obafemi Awolowo University in furthering the cause. We are also grateful for the prompt and timely support of the visionary Governor of Ogun State of Nigeria. His intervention through the mobilization of all necessary financial and material requirements within one month jerked the goal of the WS Museum to life. It is important to note that a substantial part of the Wole Soyinka collection has just completed a tour of three continents and will be proudly rotated through the Wole Soyinka Museum at OAU Ile- Ife, first of its kind, for the benefit members of the Academic and non- Academic communities. 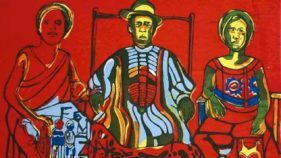 Dr Akinsola Adejuwon, is also curator of the Martins Awolerewo Odeyemi (MAO)Museum housed by the Institute of Cultural Studies.